In the virtual world Second Life, you can create objects that display any website (my friend teacherman79 has his avatar walking around, displaying his blog on his hat) . The new Beta viewer allows you to use urls as textures, and you can interact, browse, search with the website while you are in Second Life! 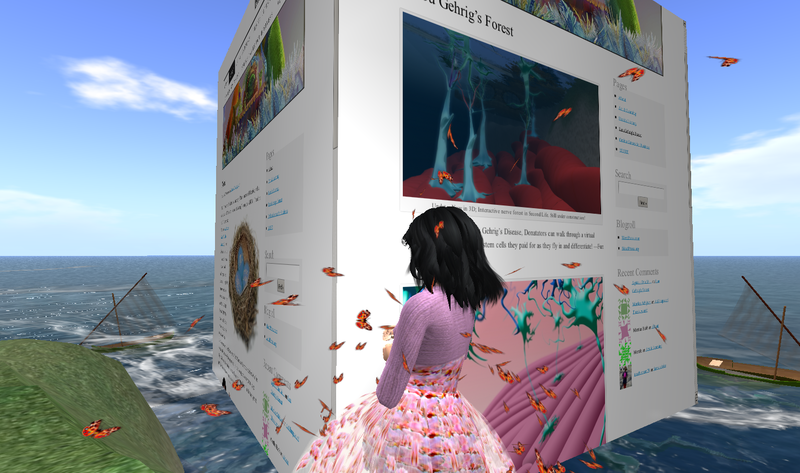 This is a simple version — my avatar can scroll through my blog here, that I have floating on the Umass island in Second Life. Previous A Glimpse of Thesis work!